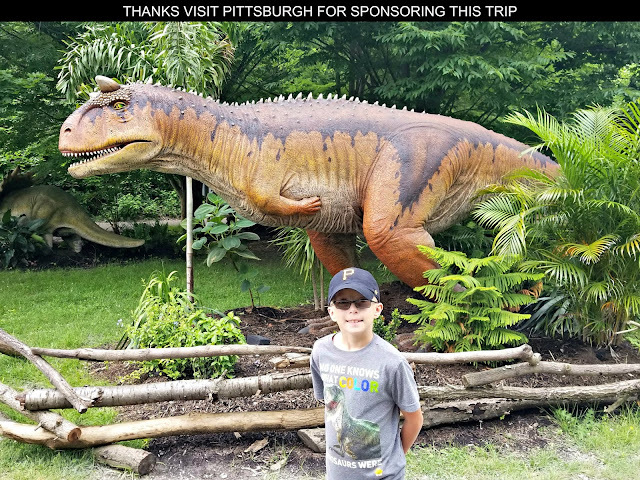 When it comes to having family fun with video games the LEGO themed ones produced by Warner Bros. Interactive Entertainment and TT Games are some of this dad's favorites. They've created a number of games based upon entertainment franchises ranging from Jurassic Park and Harry Potter to Lord of the Rings/The Hobbit as well as Star Wars that my family loves to play together. Filled with the whimsical backgrounds and zany situations that the LEGO brand has become known for these video games are filled with adventurous challenges and thought provoking puzzles. There are also LEGO video games that transport players to a world made of building bricks and populated with min-figures of characters from the Marvel super hero universe. What is great about these games is that elements from both Marvel's comic books along with the movies made by various studios are all combined together in a way you currently see on the silver screen. 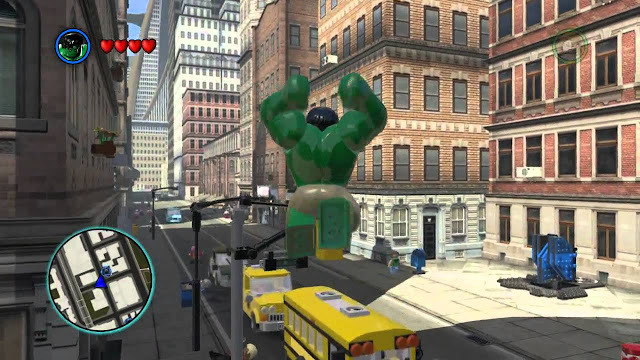 Unite members of the Avengers, Fantastic Four and X-Men to save the day in these LEGO video games! While my kids and I have played a number of these LEGO Marvel video games, we don't currently own any of them. 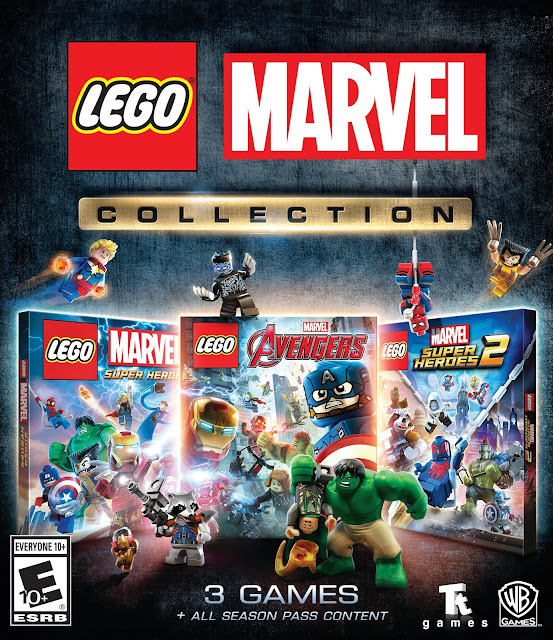 That may be changing though now that it has been announced that three of these top-selling videogames, LEGO Marvel Super Heroes, LEGO Marvel Super Heroes 2 and LEGO Marvel’s Avengers are being bundled together in one package called the LEGO MARVEL COLLECTION. The three-game compilation will be available March 12, 2019 for PlayStation®4 computer entertainment system and the Xbox One family of devices. LEGO Marvel Super Heroes 2 picks up directly where LEGO Marvel Super Heroes left off featuring a completely original branching storyline co-written by award-winning comic writer Kurt Busiek. This story brings together a diverse roster of iconic Marvel Super Heroes and Super Villains from different time periods and realities including Ant-Man, Black Panther, Captain Marvel, Cosmo the Spacedog, Cowboy Captain America, Doctor Octopus, Doctor Strange, Ghost Rider, Green Goblin, Groot, Gwenpool, Hawkeye, Howard the Duck, Hulk, Iron Man, Luke Cage, Ms. Marvel, Rocket Raccoon, She-Hulk, Spider-Gwen, Spider-Man, Star-Lord, Thor, and many more. Players can roam and explore 18 different Marvel locations within the incredible Open Hub World of Chronopolis, from the vibrant jungle of Wakanda to the pyramids of Ancient Egypt, along with Asgard, Attilan, Knowhere, the Coliseum, Hala, Hydra Empire, Kang’s Citadel, K'un-Lun, Lemuria, Manhattan, Medieval England, Noir New York, 2099 Nueva York, Old West, The Swamp, and Xandar. This super-sized collection in addition to original content also includes the DLC packs for each of the three game. The updated content to these games includes Black Panther and Marvel’s Avengers: Infinity War character and level packs for LEGO Marvel Super Heroes 2 inspired by Marvel Studios’ hit films. So you will have all the season pass content that was released for these three video games in the LEGO MARVEL COLLECTION. With all the hype that will be taking place this Spring about the Captain Marvel and Avengers Endgame movies, it will be a great time to immerse yourself in having some video game fun playing the LEGO MARVEL COLLECTION. 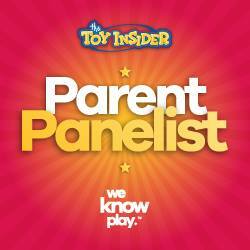 I appreciate that these video games produced by Warner Bros. Interactive Entertainment, TT Games and The LEGO Group have content that is appropriate for kids ranging from elementary school aged to teens to play but also has the action and excitement of the Marvel cinematic universe so that adults will enjoy playing too. Toss in some witty LEGO humor and parodies that are sure to make you smile. Now you are all set to participate in the type of amusing adventures that have earned LEGO style video games A Geek Daddy nod of approval!